Kansai University operates five dormitories to promote educational benefits. The role of each dormitory is not just to provide accommodation, but to also cultivate healthier relationships through disciplined communal living. Living and communicating with non-Japanese students in the dormitories serves to enhance international sensibilities and promote exchange. 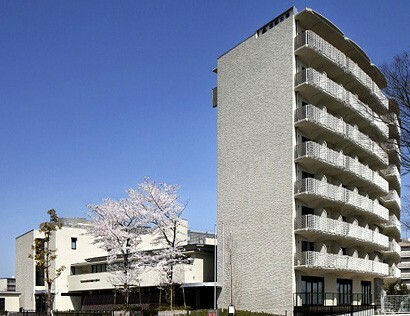 Minami-Senri International Plaza Students Dormitory was built in February 2012, in a quiet residential area. Its location is convenient being 15 minutes by bike from the Senriyama Campus, and 5 minutes away on foot from Minami-Senri Station (Hankyu Railway Senri Line). While each room is single occupancy equipped with a bathroom and toilet ensuring the privacy of students, a common lounge and kitchen for every six to seven rooms provides space for student interaction. 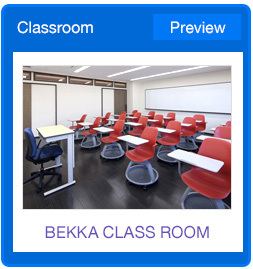 Although the dormitory mainly accepts students from the Kansai University Japanese Language and Culture Program Preparatory Course (Bekka) established in the Minami-Senri International Plaza, sophomores or above can also enter as Residential Assistants to support exchange students. Additionally, dorm students are given opportunities to experience cross-cultural exchange through activities with local people. 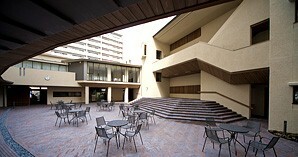 The Kansai University International Dormitory was renovated and opened in April 2012. Exchange students from partner or other universities and Japanese students are eligible to enter. It is located in a quiet residential area, is 20 minutes by bike from the Senriyama Campus, and 10 minutes away on foot from the Minami-Senri Station (Hankyu Railway Senri Line). Each room is single occupancy, furnished with a bed, bed-clothing, desk, bookshelf, refrigerator and all the necessary equipment. A kitchen, shower room, and laundry are found on every floor for students to share.